NoCrowds received an email recently from a Danish friend on a business trip asking where she should spend a few free hours in Washington D.C.
“I was thinking of taking a tour of the White House”, she wrote. “Forget it. You need to plan months in advance. Besides, you are nationality-impaired. You’ll never get in,” we wrote back. We advised her to head instead for the Smithsonian museums on the Mall. The museum complex, the largest in the world, with more than 136 million objects, has something for everyone. All the museums are within walking distance and free. Some of the museums, such as the National Air and Space Museum and the National Museum of the American Indian, are crowded. Some, such as the Freer and the Sackler Galleries are virtually empty. The choice is so vast; you can wade in or avoid the scrum according to your mood and interests. For foreigners, it’s a great place to watch Americans and for Americans, it’s a great place to watch yourself. Following our own advice, we spent a half day on the Mall during a recent visit. As we always do, we popped in to the Freer and Sackler Galleries to see the world’s largest collections of James Whistler's work, as well as the world's largest collection of 19th century Hokusai prints. Having been to mobbed (and expensive) shows for both artists in London and Paris, we love seeing the work in such a tranquil and intimate space – and for free. Until January 4, 2009, the Sackler also has an exhibition of newly discovered royal paintings of Jodhpur from the 17th to the 19th centuries entitled “Garden and Cosmos” which is worth a visit, especially since this is the first time many of these works have been seen by anyone besides a maharajah! We headed next for the imposing National Gallery of Art, created by a joint resolution of Congress in 1937, which has one of the largest and finest collections of Western paintings and sculpture in the world. On the day of our visit, the place was packed with vacationing American families in shorts and sneakers taking pictures of themselves next to famous works of art. Outside, financial markets were crashing, just as they had when the museum was founded, but inside, we were all on holiday. Eavesdropping on some of the conversations was as much fun as seeing the art. For example, a man standing in front of a massive Anthony van Dyck portrait of Queen Henrietta Maria, from 1633, turns to his wife and remarked, “Honey, you know this photograph over here. I like the frame.” Good for you, we thought, here’s a man that in a middle of a crisis, still knows what he likes. After an hour's wander through art history’s greatest hits, it was time to head home but not before we sampled a really good barbeque sandwich from a funky bug-like zero-emission kart outside the Hirshhorn Museum and Sculpture Garden. NoCrowds has often wondered why Washington street food, particularly what you can find around the Mall, has always been so bloody awful. Well it seems that a long standing moratorium on vending licenses made the existing hot dog and soft drink sellers complacent. A recent lifting of this moratorium has provided a company called On the Fly with the opportunity to sell more interesting and healthy “grab and go” food from environmentally friendly karts around the city. The company has hired a chef trained at The Inn at Little Washington, one of the nation’s top restaurants, and partnered with such well known local providers as Rockland BBQ and Julia’s Empanadas. The results are impressive. Being from North Carolina, we were sceptical that some boys from DC could pull off a decent barbeque sandwich, but for $6.50, On the Fly produced a succulent sandwich along with some good, not-too-sweet coleslaw. In 2008, this is still the case, but now we have an even greater need for both the savings and the inspiration that visiting these national treasures can provide. With the addition of good and well priced food from On the Fly, a visit to the Mall in Washington wins the NoCrowds award for the best value outing in America. Smithsonian – most museums are open every day from 10 to 5:30 except Christmas. On the Fly karts in front of the Portrait Gallery, Hirshhorn and Natural History Museum. Click here for location and times. 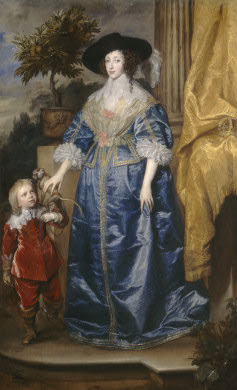 Photo of Queen Henrietta with Sir Jeffrey Hudson, 1633, from the National Gallery collection. This Danish friend took the advice and (being on business = without husband or children) having lots of own time, enjoyed the capital and the Smithsonian! Thank you! Seriously, I had a completely wonderful time! After DC I went to Seattle - the hotel was terrible (Hotel Seattle on Senaca Street and 3rd Avenue) - do not send anyone there - even though it is cheap and the location is great. Unknowingly, I was there on the annual Day of Music and Art. What a treat!! Among other great stuff, I went to a 45 min concert with the Seattle Symphony Orchestra and to the Seattle Art Museum - all for free! My second business stop was in Olympia - and it was a success. My contact was a great guy who took me to Snoqualmie Falls http://en.wikipedia.org/wiki/Snoqualmie_Falls and coffee and cigars after lunch! My last stop was in Sacramento - nice city - nice people! Stayed at the Hyatt and was quite intrigued by the fact that the Governator was also staying there - unfortunately I didn't see him IRL. To top the coffee and cigars, the good people I in Sacramento took me on a boattrip out to see the construction site of the San Francisco Oakland Bay Bridge. Awesome! http://baybridgeinfo.org/ . After that they took me to Zachary's pizza in Berkeley - world's best - I'm sure Leland goes there all the time?! http://www.zacharys.com/ If not - he should!